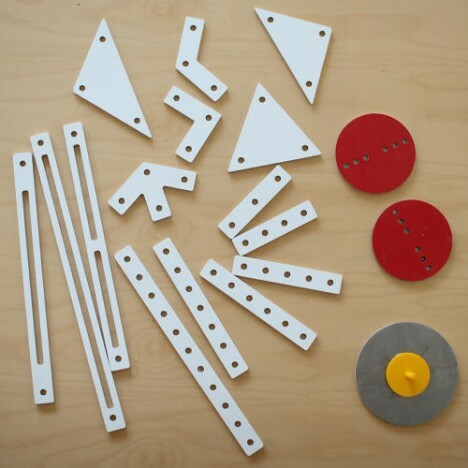 A kit of parts both playful and educational, this cool set of components lets children design simple movement sequences and test various kinetic strategies. 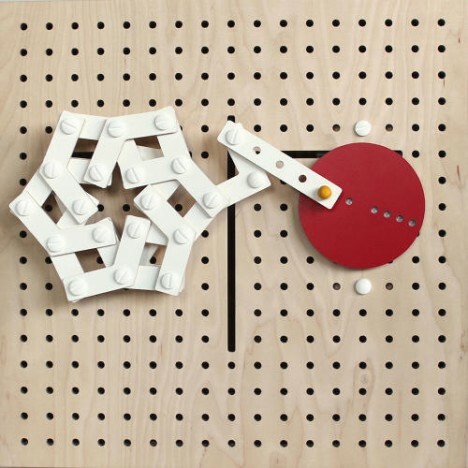 LINKKI features three motors – for full rotation, limited rotation and wifi connectivity – tied into a peg board where various pieces can be plugged in to create endless combinations (particularly once you start hacking your own pieces from scratch). 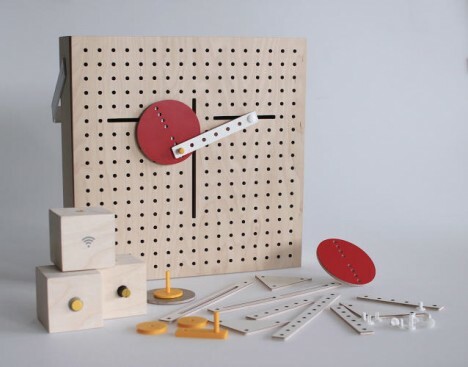 The toy kit is intended in part to engender interest in STEM (Science, Technology, Engineering and Math) by engaging it as a kind of play and making discoveries more intuitive, casual and entertaining for kids. See more in Gaming & Geek or under Gadgets. December, 2015.